Students from four University of Hawai‘i Community Colleges are in the final phases of developing and testing a scientific instrument that is scheduled to be launched into space from NASA’s Wallops Flight Facility in Virginia. On August 11, a rocket carrying a payload designed and built by students from Honolulu CC, Kapi‘olani CC, Kaua‘i CC and Windward CC will be launched from Wallops into suborbital flight. The UH Community College team was the only community college whose payload was selected for this launch. 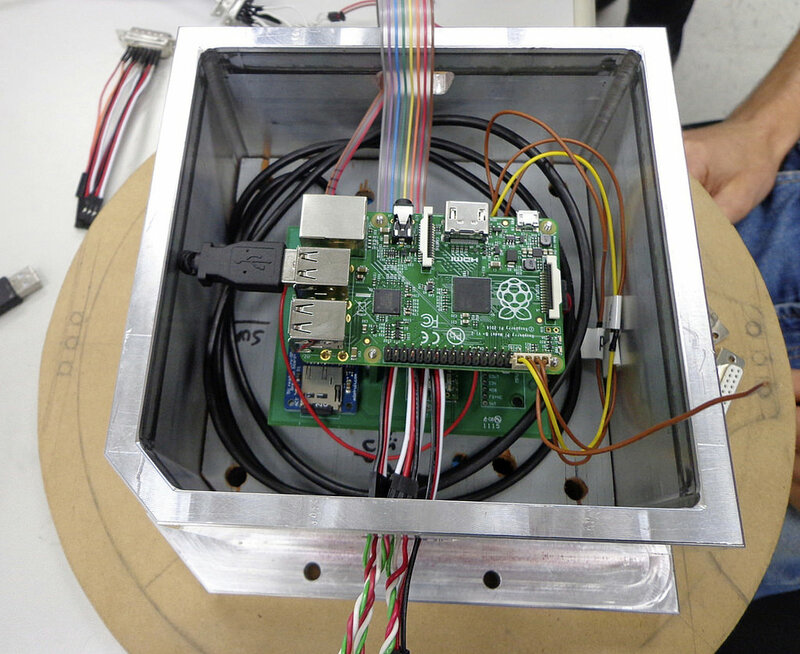 The multi-campus collaboration known as Project Imua (Hawaiian for “to move forward”) involves a joint faculty-student enterprise for designing, fabricating and testing payloads. Future launches are envisioned at the Pacific Missile Range Facility on Kaua‘i through the University of Hawai‘i at Mānoa’s Hawai‘i Space Flight Laboratory (HSFL). Some of the Project Imua students conducted a major test of their scientific instrument this past week, using HSFL’s vibration table. The electrodynamic vibration system is one of a series of tests of the scientific payload. Each Project Imua campus brings unique expertise and skills to the table. Kaua‘i CC was responsible for designing and building the payload’s instrumentation. In close collaboration, Honolulu CC is designing the payload’s electronic circuitry for power and telemetry, while Kapi‘olani CC is designing the associated print circuit board. Windward CC is tasked with integrating all the components together and performing static tests on the payload. Both Windward CC and Kaua‘i CC designed and constructed the payload’s mechanical housing. 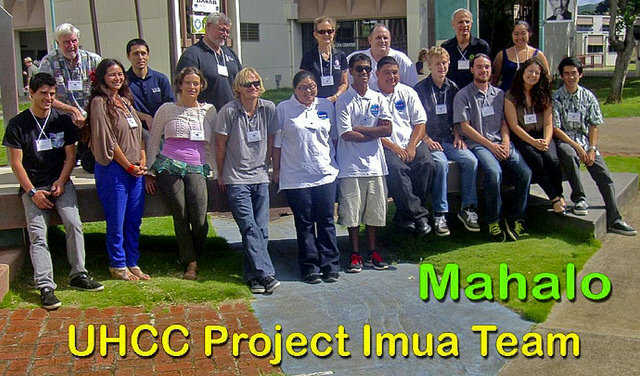 Project Imua is funded by a two-year $500,000 grant awarded under the NASA Space Grant Competitive Opportunity for Partnerships with Community Colleges and Technical Schools. Project Imua is supported by UH Mānoa, the main Space Grant campus, which provides technical assistance through HSFL’s resources and personnel. During Imua’s two-year period, about 100 scholarships will be awarded to students at the four UH Community College campuses. These students will be provided training and hands-on experience in the design, construction and test phases involved in fabricating small payloads. Students also participate in periodic teleconferences with the RockSat-X coordinators. These review sessions simulate that same procedures required by NASA contractors involved in space flight , thus providing students a unique experience with aerospace engineering protocols.